The design of and plan for the Emerging Adulthood Consortium has been lead by a strong team of people. Each of these individuals adds to the team a different dimension of Emerging Adulthood research and field experience. Some work with emerging adults every day as co-workers and students, others have done extensive research and writing within the Emerging Adulthood field, yet others are pastors who lead, mentor, and counsel young adults. All are stakeholders with first-hand experience of the realities of emerging adulthood, whether by living with emerging adult children, being married to them, or being an emerging adult themselves. 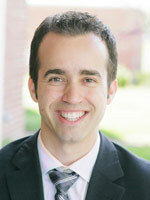 Jared E. Alcántara is Assistant Professor of Homiletics at TEDS. His teaching and research is primarily in preaching, but he also has a special interest in Emerging Adults and social media. He has served as a youth pastor and associate pastor in Illinois, Massachusetts, and Oregon and, from 2010-2014, he was a part-time teaching pastor in New Jersey. He is an ordained Baptist minister. Prior to Trinity, Jared also served as an adjunct instructor in New York City, a teaching fellow at Princeton Theological Seminary, and a guest lecturer for a homiletics course in Coonoor, India. Jared has written for journals such as Preaching, The Journal of the EHS, andMedia Development, and his first book Crossover Preaching (IVP Academic) will be released in October 2015. He lives in the Chicagoland area with his wife, Jennifer, and their three daughters. He enjoys disc golf and is a rabid Philadelphia Eagles fan. 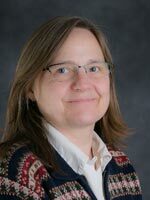 Elizabeth Bjorling is a Ph.D. fellow in the Educational Studies program at TEDS. Previously, she served in fulltime pastoral youth ministry for 12 years on and near university campuses in Bourbonnais, IL and Champaign-Urbana, IL. In her youth ministry role, she mentored and trained university students preparing for ministry, over 50% of whom were emerging adults. Elizabeth is an ordained elder in the Church of Nazarene, and holds an M.A.R. from Olivet Nazarene University. Elizabeth speaks nationally at summer camps, retreats, and conferences, including FIT Decisions Girl’s Only Conferences. She has published Wired Preteen curriculum with NPH and for periodicals such as Grace and Peace Magazine. At TEDS, she serves on the Academic Doctoral Committee, and as president of two student groups: Youth Ministry Connection and the Wesleyan Aldersgate Society. 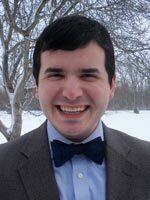 Stephen Chuckray, originally from Dallas, is currently in the MA in Ministry program at Trinity Evangelical Divinity School focusing on Church Administration. Having recently moved to the area from North Carolina, he graduated with a degree in Finance from Wake Forest University and then worked for a non-profit that specialized in community leadership development. Stephen is very passionate about connecting emerging adults with the church due to his extensive involvement in Intervarsity Christian Fellowship in college and time leading the college ministry at his previous church. He currently works in student ministry for Harvest Bible Chapel in Rolling Meadows, IL. In his free time he enjoys playing hockey, writing music, and eating burritos. Richard R. Dunn (Ph.D., Trinity Evangelical Divinity School) is lead pastor at Fellowship Evangelical Free Church in Knoxville, Tennessee, a congregation consisting primarily of emerging adults. He was formerly chair of educational ministries at Trinity Evangelical Divinity School in Deerfield, Illinois. He is the author of Shaping the Spiritual Life of Students and co-author (with Jana Sundene) of Shaping the Journey of Emerging Adults: Life-Giving Rhythms for Spiritual Transformation. Ben Espinoza serves as Director of Youth and Community Life at Covenant Church. 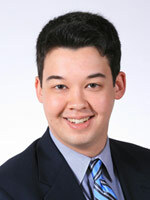 He is a graduate of Cedarville University and Asbury Seminary. Ben’s ministry passions include working with emerging adults, community life, and missional living. Ben has contributed several articles and reviews to publications such as Christian Education Journal, Religious Education, The Journal of Family and Community Ministries, The Journal of Youth Ministry, Evangelical Missions Quarterly, Themelios, The Scottish Bulletin of Evangelical Theology, The Asbury Journal, Common Ground Journal, Seedbed, and YouthWorker Journal, in the areas of Christian formation, youth ministry, leadership, practical theology. 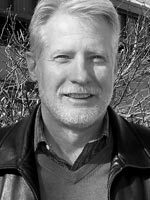 He currently serves on the board of the Society for Children’s Spirituality: Christian Perspectives, and on the editorial board of a forthcoming encyclopedic project. 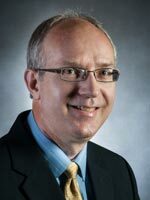 Donald Guthrie is the Director of the PhD Program in Educational Studies and Professor of Educational Ministries at TEDS. Prior to joining the TEDS faculty in 2012, Dr. Guthrie served as a faculty member and academic dean at Covenant Theological Seminary. Previously, he served as a campus minister and senior administrator with the Coalition for Christian Outreach. He is a co-author of Resilient Ministry: What Pastors Told Us About Surviving and Thriving. 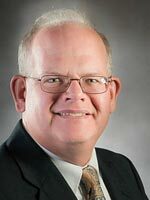 Dr. Guthrie has enjoyed serving as an elder in several local churches over the past twenty-five years. He is a frequent teacher at conferences and retreats, often addressing intergenerational ministry, vocational stewardship, adult learning, and early adulthood transitions. He and his wife, Mary, have two young adult children. Michael Mauriello is the associate pastor at Village Church of Lincolnshire, where oversees the Young Adult Ministry. This ministry is facilitated by young adults whom Michael and other older mentors coach in leading discussions on topics the young adults pick. Michael mentors college and seminary students through field education and internships, and regularly invites young adults to facilitate both youth and adult ministry. He facilitates premarital counseling, and counsels young adults on a regular basis. He holds an MDiv from TEDS, has nine years of pastoral experience in the EFCA, is currently working on a PhD in Educational Studies from TEDS, and is an adjunct faculty at Trinity International University. Jim Moore is the Associate Dean and Associate Professor of Educational Ministries at TEDS. Before coming to Trinity, Moore served as assistant pastor and director of Christian education at Life Way Wesleyan Church in Fort Wayne, IN. He was also the assistant pastor at Oak Park Wesleyan Church in Oak Park, IL, and a public school teacher in Indiana and Illinois. He serves as an affiliate faculty member in the College, teaching in the Division of Biblical, Religious, and Philosophical Studies and in Interdisciplinary Studies. He has also served as Director of Administration for Doctoral Programs in the Divinity School and Assistant Dean of Trinity Graduate School. 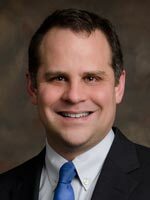 Dr. Moore is an ordained minister in the Wesleyan Church and is a member of the Wesleyan Theological Society. 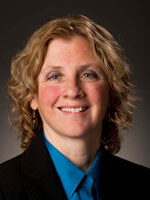 Jana Sundene is an Associate Professor of Christian Ministries (Trinity College). 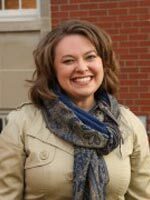 Her educational background includes a BA from Wheaton College; a MA from Northern Illinois University; and a MA from Trinity Evangelical Divinity School. Before coming to Trinity in 1990 Jana spent 10 years as an associate director of youth ministry at Willow Creek Community Church and Garden Grove Community Church. She has done short-term missions work and taught courses in such places as the Philippines, El Salvador, Poland, and Mexico. Jana loves every minute of teaching the emerging adults that have come through her courses and is active in mentoring students and serving at her local church. When she isn’t concentrating on developing the next generation of leaders, she enjoys hiking, photography, backpacking, walking her extremely energetic pup and doing projects around her house.